The inspiration behind the color palette and web design. Webvisuals designed the logo and branding elements. 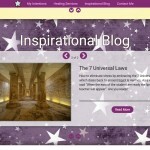 Blog Slider automatically rotates in the latest post. 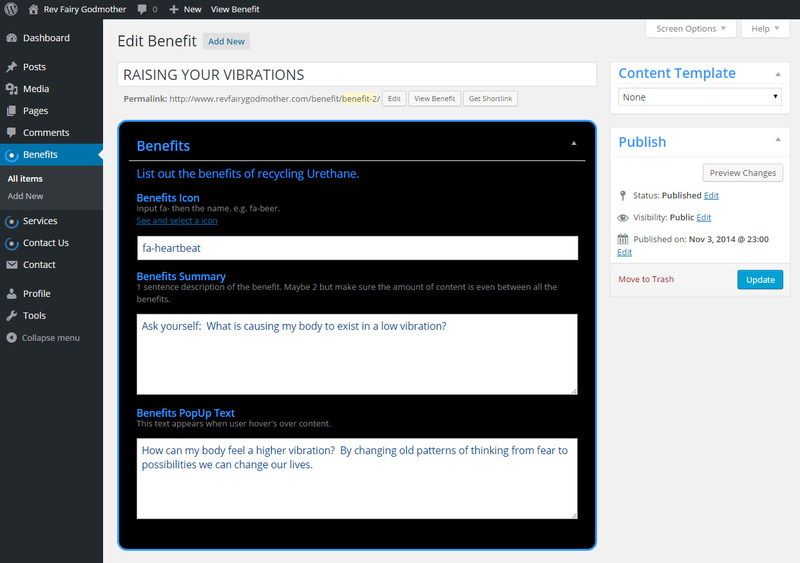 Unlimited amount of post can be created with easy to use web tools. 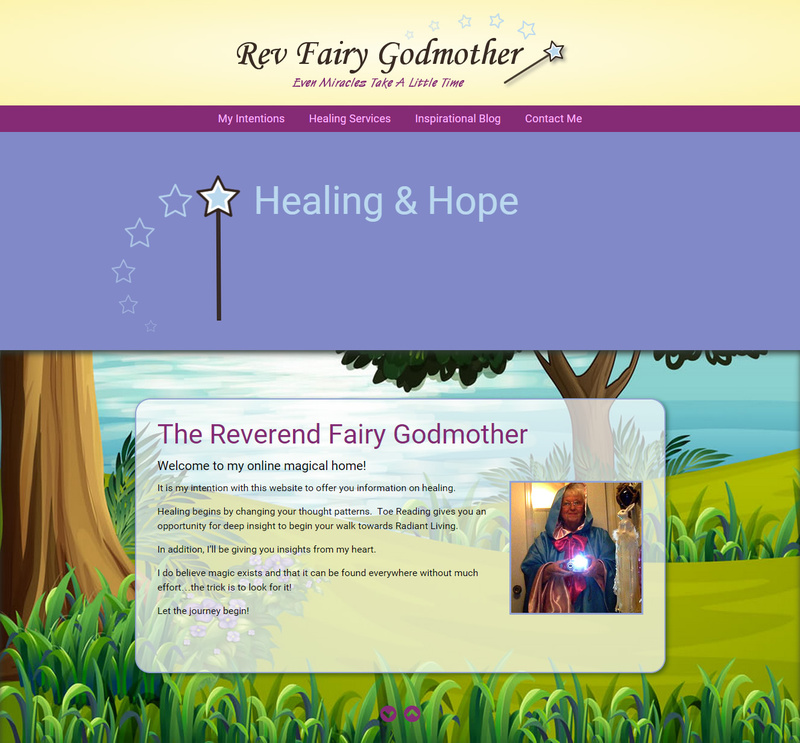 The Reverend Fairy Godmother wanted a One Page Website that was uplifting and magical to spread her message of hope and healing. 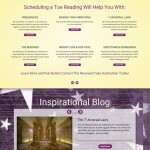 She wanted the site to offer inspiration along with offering Toe Reading and Life Coaching. The site would also need to include online payment options. 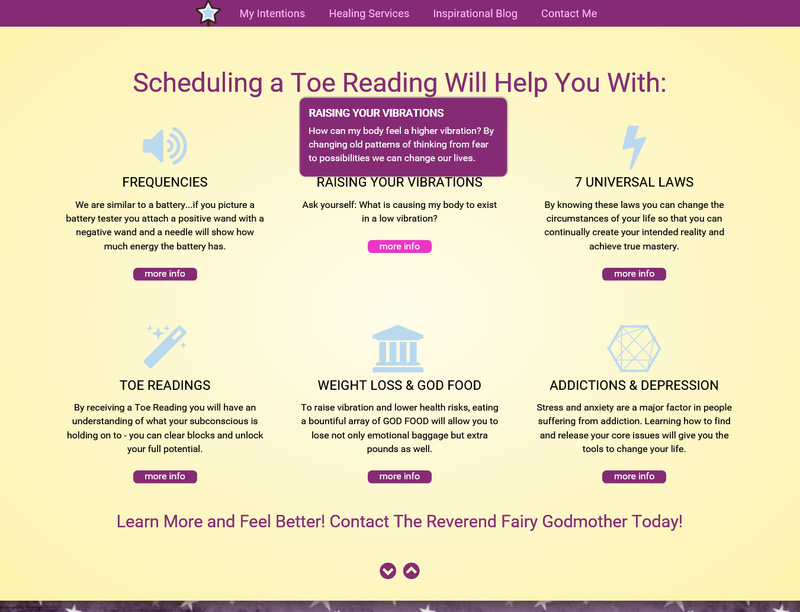 Diana came to me with an idea for building a One Page Website to advertise her toe reading and Life Coaching online. Her idea was to use a persona that would give people hope while getting their guards down to be open to new healing techniques. 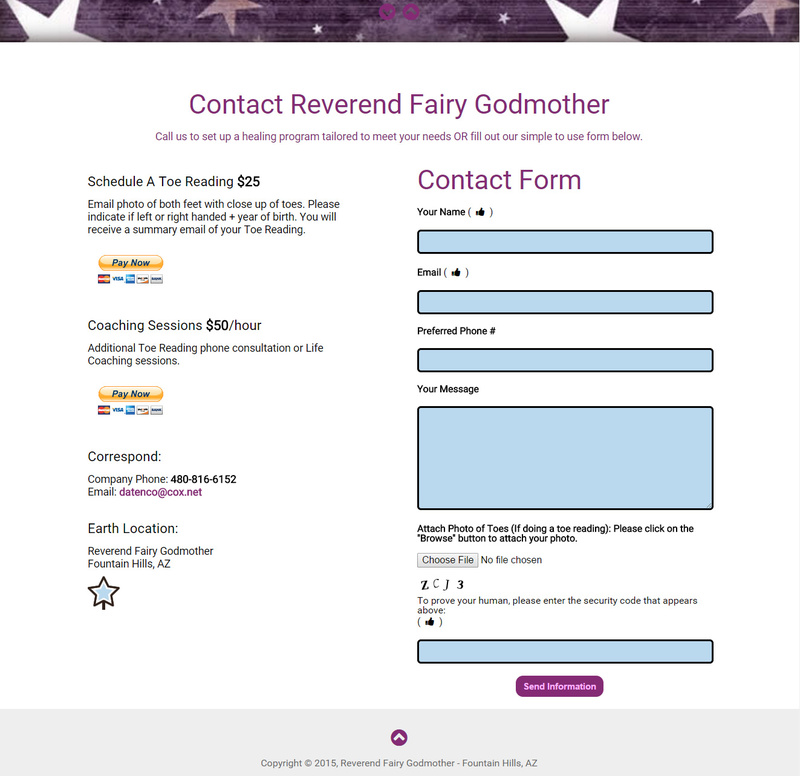 She chose The Fairy Godmother from Cinderella since she has become known to her friends and family as the Reverend Fairy Godmother (RFG) due to her belief that with magic she could help you improve and better your life. 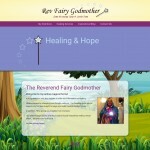 Already known by many as The Reverend Fairy Godmother – Webvisuals used one of her character photos and captured the colors from that photo to create the web palette for the One Page Web design. With powder blue, vibrant violet, and sunrise yellow he created a web design befitting the animated movie. We created the logo for RFG and thought using the star from the wand added the magical look she was seeking. 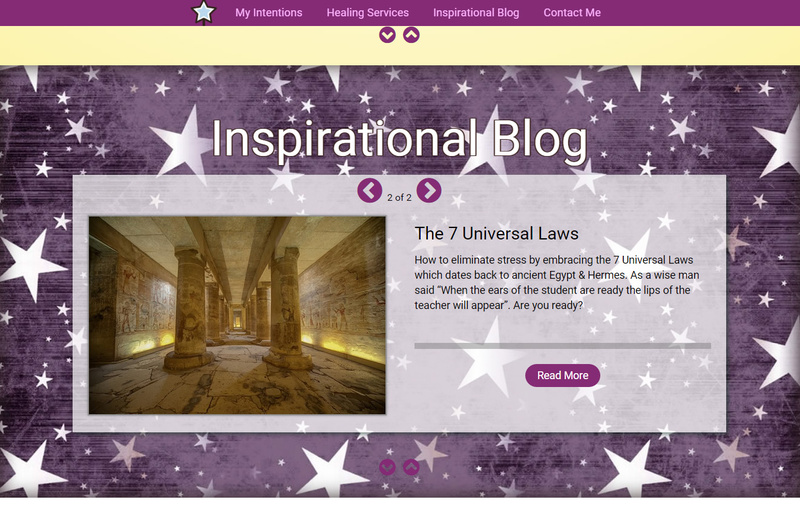 The opening WordPress Scene we kept simple with the wand animating back and forth, creating inspirational messages, so people could start feeling the magic while reinforcing the branding into memory. For web tools we gave RFG the ability to create a responsive website content section with a her choice of Fontawesome icons to represent her companies benefits. 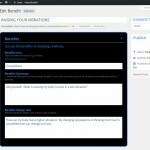 She could also create an unlimited amount of services posts and have those automatically display in a slider on the main one pager website. 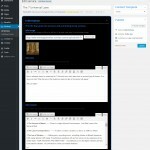 We also added a menu system with sticky capabilities so the main menu was always visible on desktops. 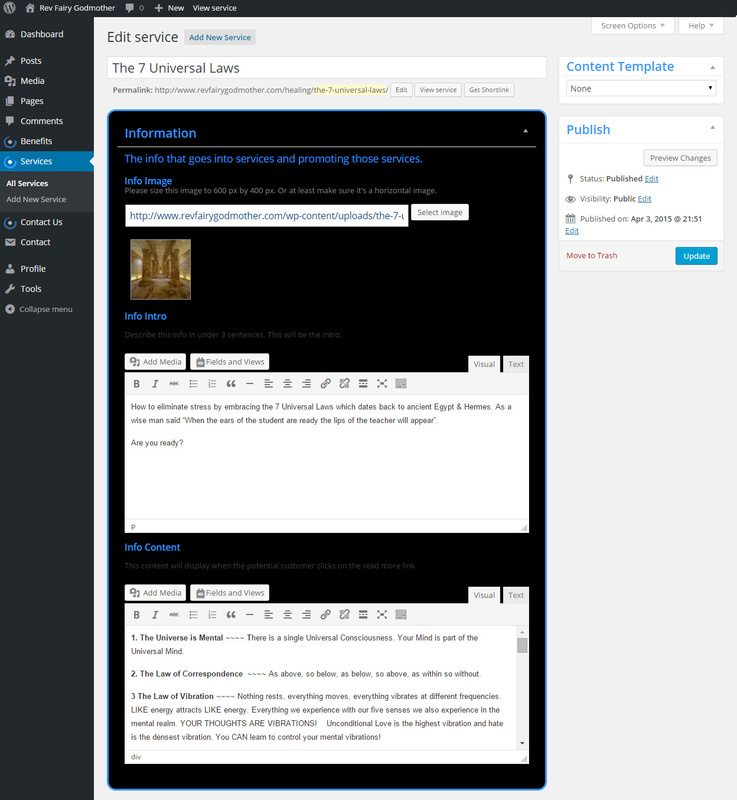 A page anchor navigation was coded so the user could scroll down and up the page using the main navigation or content section navigational aids. 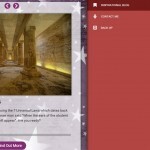 If The user is on a mobile device the website would display a completely different menu system that slides out from the right. As an added feature to the contact section of the One Pager Website we set Diana up with PayPal buttons and added image up-loader functionality So users could pay for a toe reading and attache picture of their feet, pay online and send directly to RFG. 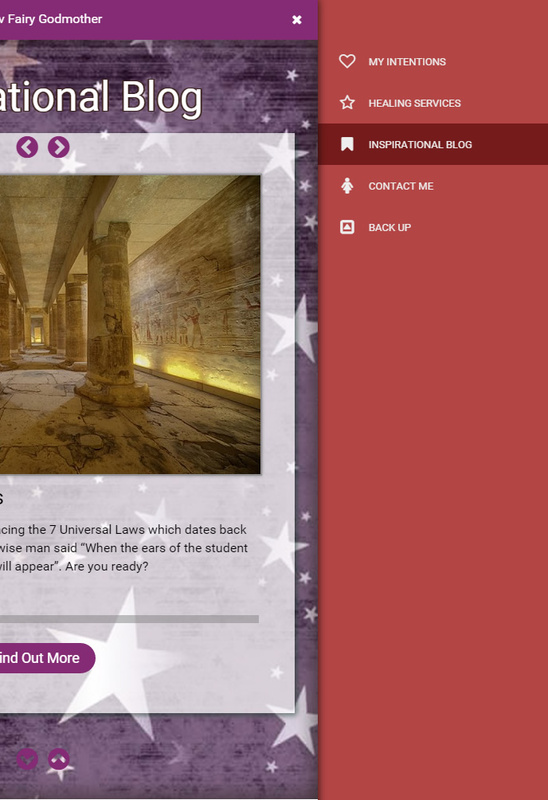 I couldn't believe how well this website turned out. I've been a fan of Webvisuals work for a long time and I couldn't wait to see what he would do with my ideas.